US Army advisors training Iraqi soldiers. Praise be to you, my Lord. The care of our Common Home. 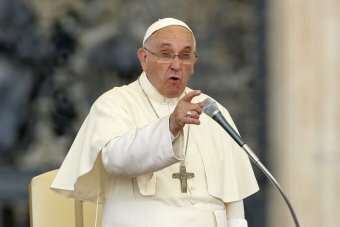 —Pope Francis has jolted, invigorated and annoyed his vast global flock by his Encyclical on the ‘Care of our Common Home”. His Holiness did not mince words as the approximate rendition illustrates. The Pope spoke of looming environmental ruin that could be heard as a cry from the earth and a cry from the poor. There was almost an order to stop environmental degradation and a command that influential individuals cease obstructionist attitudes. The Pope was sufficiently moved to say the World is becoming a vast pile of filth and the planet was on a fast track to disaster. —It is timely to mention the book, ‘How Societies choose to Fail or Survive’ by Professor Diamond, UCLA. Since the beginning of time, mankind has created societies that have prospered and then, due to stupidity that resulted in catastrophic environmental degradation, have destroyed their culture in spite of clear warning signs. Retracing faltering footsteps along eons of history examples of self destruction are the early communities in Mesopotamia, the Norsemen of Greenland, the destruction of Polynesian communities in the Pacific Ocean, the American Anasazi who destroyed their fragile landscape, the Maya civilisation which collapsed due to destruction of forests, food shortage and fighting over resources. Today’s mankind is destroying the Amazon and South-East Asian forests, global fish stocks are dwindling, the ‘bad lands’ of China and North America are with us, and increasing atmospheric carbon dioxide is hastening the melting of the Greenland, the Antarctic and Arctic ice caps. It is a little appreciated fact the Mediterranean littoral was denuded of forests due to the Persian, Greek and Roman ship building activity; the only vegetation that grew on the degraded landscape was olive trees. —In Australia there is now a classic example of an Australian Authority pursuing a policy mentioned by Professor Diamond that will knowingly lead to Environmental Collapse. The Murray Darling Basin has released a Plan that has used 140 years of climate records but has made no projections for climate change. Modelling by the Australian Water Association has shown that a 10% reduction in rainfall could result in a 60% reduction in available water in the Murray-Darling Basin. Furthermore, the Authority has announced a plan to release 3200 giga litres into the river system by 2024 while, concurrently within the system, swamp lands and river bank forests are degrading. The original figure was 4000 gl. The Goyder Institute has indicated the release is insufficient to ensure adequate flushing of salt out of the drainage system. The summation of dryer conditions, over allocation and salination will degrade the land. Fifty years hence??? The back drop is that 70% of Australia’s arable land supporting 40% of Australian farms depend on this water supply. The Authority is administering a $10 billion budget and appears to be following the Government line that Climate Change is not a critical issue. —Once again Australia has been exposed for its tardy attitude to climate change. Rear Admiral Morrisey, the UK Climate Change envoi, is in Australia conveying the message to the Abbott Government that Britain and the United States would like Australia to take a more responsible attitude to Climate Change Security Strategy – that is, to plan for wild weather events and population instability as living conditions and food shortages worsen. No doubt America would almost certainly have one eye cocked on the security of its military establishments in Australia. —-Another Government policy exposure. A new player has erupted onto the climate change scene, the Australian Climate Round Table. The members include the Business Council, the Climate Institute, ACOSS, Energy Supply Association and the Aluminium Council. Their demand is for a bipartisan policy must be framed and reiterating the Government is not doing enough to limit global temperature rise below 2*C. Remember the warning of Climate Analytics, Berlin, mentioned in my May blog. These are consistent with Australian weather disasters mentioned in my January blog; it is also a wake up call for a need for Homeland Security Forces. Terms of Trade and a Red Alert. —By extraordinary coincidence on the same day, JP Morgan Bank and the Treasurer used the term ‘disaster. and ‘a tremendous set of numbers’ for the same announcement on the Australian economy. JP Morgan spoke of the Terms of Trade deficit of $4 billion as the worst in the past 45 years. On the flip side of the announcement the Treasurer referred to the growth figure of 0.93% for the March quarter, equivalent to an annual growth rate of 2.3%, this will not solve the youth unemployment problem and is even lower than the projected trend of 2.5%. —Over the past year there has been a poor growth trend and this is down on the 2.8% growth for the 12 months ending June 2014. The trend in GDP per capita has also declined from 1.2% to June 2014 to only 0.7% to June 2015. These low growth rates illustrate the weakness in the economy. The only time the growth rate has been lower in the past 40 years was in the 1991 recession and during the GFC in 2007-08. —Red Alert. There has been more than passing comment on the decline of Australian living standards. The quarterly growth figures, far from being ‘a tremendous set of numbers’, do in fact reflect a weak local demand in the economy and declining exports. The relatively high dollar is not helping our export industries. Somehow, productivity growth has to increase if living standards are not to fall. As if to drive this point home, Christine Lagarde, MD of the IMF, has requested the Fed not to raise interest rates in the United States but to keep them at historic lows. Forecast growth in the US for 2015 is only 2.5%. This low number does not auger well for Australia as the dollar will tend to be kept artificially high relative to a weak Greenback. This is not good for Australian exports or for the corrosive effects of the Terms of Trade. —There is belated realisation the Islamic State of Syria and al-Sham is posing a serious threat to the Middle East and the Western World. There are shades of the First World War to this situation since it was a perception that ‘it would all be over by Christmas’- the initial advance by ISIS was treated in much the same way. Now, after a year of air strikes by the US military and its allies, the rout of the Iraqi army and the insertion of Western advisors to assist the mainly Shia Iraq military in an attempt to subdue the Sunni Islamic State the West convened conferences in Europe, America and Australia to ‘barn storm’ for ideas to defeat ISIS. —Since last year’s assertion that American air power will ‘degrade and destroy’ the US jugganought air strikes have not stopped IS expansion. The allies are concerned that IS might obtain surface to air missiles which could affect deployment of American air power. It is also understandable there is a reluctance by the West to commit its own ground forces as close fighting would involve unimaginable savagery. It would be a nightmare if Western military personnel were captured. 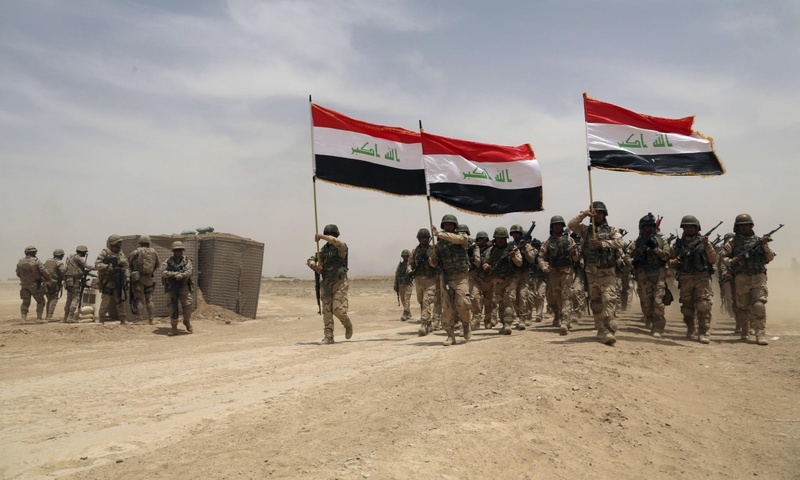 Current ground forces are Iranian Shia militias who might fill an Iraq power vacuum and the Peshmerga Kurds, who are fighting for their dream of an independent Kurdistan, Turkey willing. Sunni Saudi Arabia would probably enter the mix to counter Iranian theological expansion. Of the 29 speakers only two appeared to peripherally allude to an understanding of ideology and offering an alternative to radicalisation. The second conference in June dealt with “How to counter Violent Extremism’. Twenty four countries participated and the thrust of discussions was early intervention and rehabilitation. The five key topics coagulated into a single sentence became one of recognition and reduction of threats to young people, ensuring educational support and ensure national and international cooperation. Nowhere in the final communiqué was the specific issue addressed of providing young people with a vision for their future within a just and fair society. This is one crux of the matter and it is in this matter that the Australian Government has a difficulty. —Australia as a multicultural society must ensure an equal opportunity for all. If some are less equal (for whatever reason) they should be offered a more attractive future than that offered by ISIS. It was difficult to discern a plan by which radicalisation was to be prevented. The Australian Government,s proposed treatment of young Moslem citizens might slow down radicalism but will create tension and resentment in our multicultural society. Such a policy could create a sullen group of citizens unless policy can turn lives round to produce a vision and purpose in a civil society. This is a very real government problem amid current rising social and financial inequality. —The cost of affordable housing is a problem for many large cities round the world. Twenty-five years ago (early 1990s) teachers, police, nurses etc. were being squeezed out of the London housing market – there was much disquiet on how far essential service people had to travel to work. The writing was on the wall for Australian politicians but there was a lack of perception. Now too, essential service personnel are finding it increasingly difficult to live in Sydney without financial assistance. Population growth and slow State government land release, disturbingly low interest rates, combined with vexatious negative gearing have created the perfect storm. This is not of Chinese doing, this is an internal Australian matter. Housing prices are now exacerbating inequality in Australia. —Australia’s place in a United Nations survey on the ratio (rounded) of average income of the richest and poorest 10% of populations (GINI Index) which I have recast for OECD, ASEAN and BRICS, clearly shows Australia is facing problems. This data is six years old but anecdotal evidence is that conditions are worsening. —Clearly, for America the Great American Dream appears to be just that. Australia is not far behind while from the data Brazil and South Africa have reached a plateau of obscene inequality with Malaysia not far behind. Mexico at GINI 22 (illustrated) also has a problem. —Professor Krugman, (Princeton and London School of Economics), is worried that the 21st century has become the Age of Diminishing Expectations. Conclusions from his studies, reveals there is a similarity in the concentration of global wealth and assets between the Great Depression (1931) and post the GFC (2015). In both Europe and America there is a weakness of demand while among the Middle Class there is a rising debt level. The concentration of wealth at the top has resulted in bad political policy due to a commonality of narrow private advantage. —Returning to Australia, the desire for upward mobility has lead to rising debt levels as parents endeavour to relocate in areas of good education. Low interest rates due to sluggish economic activity has led to a serious rise in domestic debt. So long as the Reserve Bank rate remains round 2%, economic conditions cannot improve. Somehow Australia must generate rising export income. To slam home Australia’s place in the inequality table Oxfam has reported that over the past 25 years the top 10% have increased income by 50% while for the bottom 10% has risen by only 25%. —-This syndrome is defined as the isolated developement branch of a globally available product – Homo sapiens among life on earth is unique. —-Two interrelated events at the end of June concentrate the mind on the nature of mankind. Killings in Tunisia, Kuwait and France and the rendition of Amazing Grace by President Obama in response to killings in America reflect a global problem that, in recent times, has been repeated almost ad infinitum. The former occurred under an Islamic influence while the latter was a cri de coeur to a Christian deity. Squarely in the middle between the two cultures sit global political and commercial systems that are inherently divisive. Despite egalitarian rhetoric the rich become richer and the poor become relatively poorer. (Currently there are reports 119 billionaires reside in London}. —-The great psychological dilemma of our time is to admit that either Homo sapiens is a flawed species that cannot rise above its innate desires, or that the species is capable of reform through the United Nations, Governments and the Faiths. There are very few decades left before the prophetic words of Gilding, Diamond and Bertrand Russell are no longer in the future. —Bird song, a green sward and seven black calves facing inward in a small circle, a perfect bovine coven. An extraordinary sight, I did not have a camera. —Each Sunday I listen or watch Songs of Praise – it does my spirit good to witness people of faith. Without spirituality we are no longer human. In the real world we hear ‘Allah the Merciful’ and ‘In God we Trust’ not uncommonly as a prelude to war. Both major faiths endeavour to overpopulate the world, one by multiple wives and the other by non-contraception. Souls in heaven not bodies on earth should be the watch word. If men and women of the ‘cloth’ truly came together they could virtually eliminate the ‘clash of cultures, but they cannot due to the innate competition between the strands of Homo sapiens that originated ‘out of Africa’ and not in the ‘Garden of Eden’.